For the past three years, I’ve been freelancing my content creation services. From writing press releases and providing public relations services to creating branding campaigns and running live events, if you need assistance on your next content adventure, please connect with me! Below are my most recent freelance portfolio works. To see a longer list of brands I’ve worked with and more services I create in, click here. Opolis is building a trustless protocol on the Ethereum blockchain allowing individuals to have fully portable, democratically chosen employment and benefits through a decentralized employment organization (DEO). Along with helping Opolis build a brand around their product, I run their press campaigns, draft all press releases and secure media interest, create all of their email client communication campaigns, and provide general community management across all of Opolis’ social media platforms. Learn more about Opolis here. ETHDenver is the largest Ethereum hackathon in the world, and for their 2019 event, I ran their press campaigns, drafted all press releases and secured media interest, wrote and created engaging blog content on their Medium page, ran a sponsor content creation campaign, and provided general community management across all of ETHDenver’s social media platforms, growing their accounts significantly in a few short months. I still continue to provide these services for ETHDenver as they decided to expand their event services and create a year-round presence. Learn more about ETHDenver here. Through FL+G Agency, I was brought on to provide public relations services for a $7k campaign with SIXINCH Furniture. My services included creating press releases and blog content, press relations, brand strategy, visual content collaboration, event planning, and coordinating post-event deliverables. Learn more about SIXINCH here. For the past four years, I’ve been on both sides of the press fence in this role! I’ve created campaign content for companies like AEG Worldwide, Atlantic Records, BMG: The New Music Company, Grandstand Media, Live Nation, Red Bull Sound Select, and Republic Records. Simultaneously, I’ve crafted press releases and interview pitches for artists and photographers, reviewed live events, photographed shows, and worked on branding, advertising, and social media strategy. See some of my published features for BolderBeat here; follow this link for more on BolderBeat. My piece with VICE News was my intro into the blockchain world, and fortunately MARKET Protocol hired me to write for them shortly afterward because I became obsessed with blockchain tech! “Understanding the DEX Revolution” and “The History of Derivatives Trading” were two of the topics Market Protocol wanted covered; the press release I crafted announced their partnership with MakerDAO. 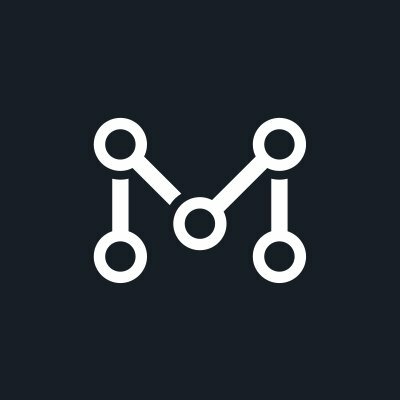 Learn more about MARKET Protocol here. I love writing in the technology space, so I was excited when INDX.GURU hired me to create content for their Medium, Reddit, & Telegram accounts. Topics covered included “How to Identify Up and Coming Cryptocurrencies,” “How Institutional Investors Feel About Crypto Assets,” and “What the Ethereum Crash Means to the Crypto Market.” Check out more on INDX at this link. Through my work with GenerationYM, I learned the ins and outs of influencer marketing. Managing clients like Jenna Marbles, who has 18+ million YouTube subscribers, allowed me to be involved in influencer campaigns, pitching sponsorship deals, writing press releases and blog content, measuring YouTube and other social media analytics, product writing, and more. Check out what this company has been up to lately here. Yelp has hired me for a number of events to provide photography services and post-event deliverables. I even explored one of Kimbal Musk’s newest NextDoor concept restaurants on one our our content adventures together! You can see my photos on their Facebook page; learn more about Yelp’s services at this link.